Free Trial! 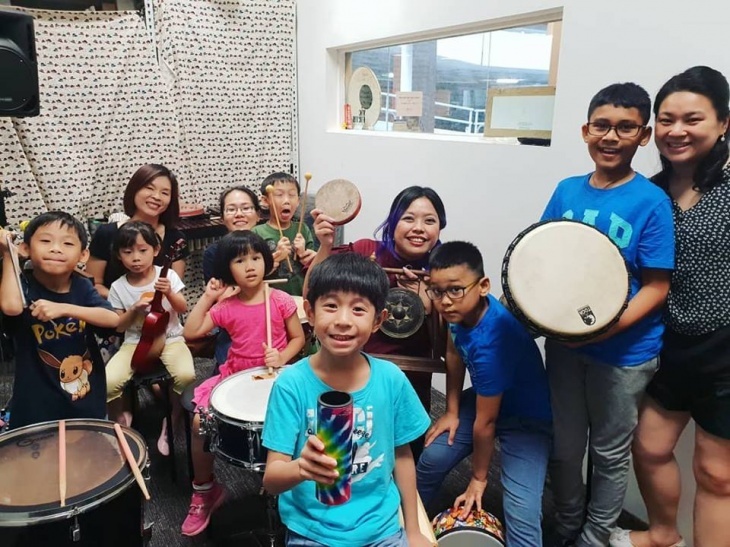 Kids Percussion Course! Free trial for the first lesson of our upcoming kids percussion/drum course! Let your kids come and see what instruments we have for the course and learn some basic rhythms to play together in a fun and loud setting! 6) prepare for performance and stage presence. A certificate will be presented at the end of the course and video of performance will be given to parents. Ages 6 to 16 years old. $120 per child for the entire course!!! Priority for this free session will be given to 1st time attendees. Please sign up for the course directly for previous attendees of the free jam session. Course will run every weekend, 6 sessions & 1 performance (Date TBC).